There’s also a GoFundMe set up to help pay for Jeremy’s legal bills, as he will be pursuing a lawsuit against the alleged perpetrator. I will be contributing. I may not agree 100% with everything he says (who does with anyone?) but being a libertarian/conservative myself, a message needs to be sent to everyone who thinks this is acceptable. Jeremy seems shaken but on the whole pretty hale after his encounter, and I hope he didn’t sustain any real injury. But I’ve been a follower of The Quartering YouTube channel for a while now, and I’ve never seen anything that’s remotely Alt-Right, racist, or anything else of that ilk. 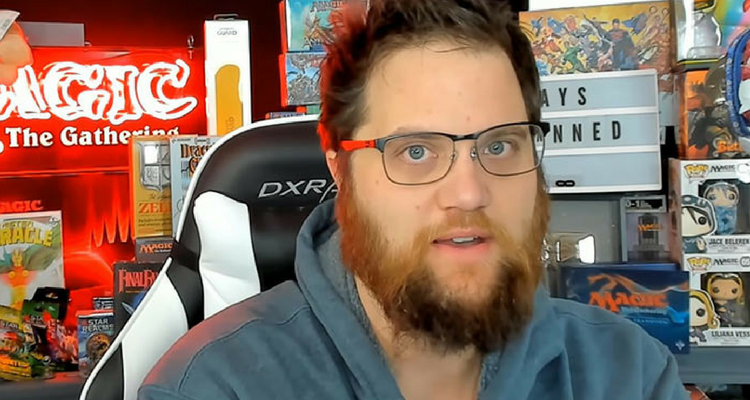 He has conservative opinions to be sure, and has a definite anti-SJW take (which I largely agree with), but saying Anita Sarkeesian is bad for the gaming hobby isn’t the same as advocating for a white ethno-state, genocide, or killing children. He is most definitely not a Nazi, so the whole “it’s okay to punch Nazis” argument, daft as it is, doesn’t apply. I don’t know the alleged perpetrator, Matt Loter, but his social media footprint seems to put him in the left wing extremist camp, and such people are not exactly known for their restraint. He’s also behind a certain Kickstarter which is four years late, whose updates are littered with poor excuses. There are people in gaming, and fandom, on the political right, the political left, and everywhere in-between. There are going to be a lot of disagreements about politics, many of them quite heated. But nothing short of actually advocating violence is justification in any way for assault or other forms of violence. People will point out (rightly) that the Free Speech Clause of the First Amendment only applies to government; that is entirely correct. It is a limitation on the powers of government to abridge the individual’s right to free speech, which already automatically exists as an inherent right. You are not compelled to listen to someone, nor are you compelled to give them a platform, but you’re damn well compelled to let them speak to people who do want to listen, and who do want to give them a platform. In a civil society, we are expected to act… civilly. That means we rise above the infantile urges to literally strike out at people who make us angry. If you cannot do so, well, just as people on the Left seem overly fond of saying that “speech has consequences”, it might be worth pointing out that assault has consequences, too. I mentioned the “it’s always okay to punch a Nazi” thing before. It’s important to know that a) the alleged perp is fond of wearing a shirt expressing that exact sentiment, and b) it’s an incredibly stupid sentiment to hold. The reasons it’s stupid are many, but chief among them is the cheapening of the term “Nazi” to include pretty much everyone that the Left doesn’t like. Think people who enter the country illegally should be returned to their home country? You’re a Nazi. Think Jews and Slavs are genetically inferior and need to be exterminated? You’re a Nazi. By using the term “Nazi” to define both groups is disingenuous at best, and a deliberate attempt to unfairly smear people with mainstream and legitimate political opinions. When “Nazi” is such a loose term, you have essentially destroyed its power. Congratulations. You’ve managed to actually help the real Nazis (what few of them there are) by cheapening the label. Honestly, this whole thing is way more complicated than it needs to be. Words aren’t violence, and expressing an opinion in a YouTube video is no justification for getting assaulted in a bar. Don’t commit assault. It’s a pretty simple thing. Yeah, this guy is a bit of a moron. De-normalizing free speech as a shared value, conflating speech with violence, excusing and encouraging violence as a response to speech, and redefining speech one doesn’t like as not merely wrong but evil… All in service to tribal identities… These fools have no idea the forces they are trying to unleash. I would identify myself as left-wing. I have watched Mr. Hambly’s video and seen the evidence he has presented. While I might not agree with all Mr. Hambly’s views, I hope his attacker gets hit with the full force of the law. There is no reason to just walk up to someone you don’t know and assault them. Wow. Was searching for material to include in my grand plan to link B2, T1-4, G1-3, D1-3 & Q1 into one ginormous Gygaxian 1e epic campaign for my son when I stumbled across this. I too identify as a fairly left wing liberal, with libertarian tendencies, and wanted to thank you for speaking out. Extremism, regardless of flavor, should never be tolerated. And the best defense against such actions is shining a light on them. Well done.